(Nashville, Tenn. – December 7, 2017) – The Country Radio Broadcasters have announced multi-PLATINUM singer/songwriter Dierks Bentley as the recipient of the CRS 2018 Artist Humanitarian Award, presented by Children’s Miracle Network Hospitals, and Dan Halyburton, Owner of Falls Media Group, as the recipient of the CRS 2018 Tom Rivers Humanitarian Award. Both individuals will be recognized at Country Radio Seminar 2018, following the Opening Ceremonies on Monday, Feb. 5, 2018. Country Radio Seminar 2018 will be held Monday, February 5, 2018 through Wednesday, February 7, 2018 at the luxurious Omni Nashville, in the heart of downtown Nashville. The three-day convention is the premier educational and networking event for Country radio and music industry professionals, offering attendees access to informative panels, countless networking opportunities, prominent speakers, research presentations and intimate performances from some of today’s biggest stars and emerging artists. Panels at CRS cover a broad range of topics relevant to today’s Country radio industry, including social media and digital innovations, PPM, brand strategies, leadership skills, consumer research studies, the relationships and economics of the radio and record industries and much more. This year marks the 49th annual Country Radio Seminar. Registration for Country Radio Seminar (CRS) 2018 is currently available at the regular rate of $699. Tickets to the New Faces of Country Music show are already sold out, and no longer available for purchase with registration packages. For more information, visit www.CountryRadioSeminar.com, and follow CRS on Facebook, Twitter (Hashtag #CRS2018) and Instagram. Additional information can be obtained by calling 615-327-4487. 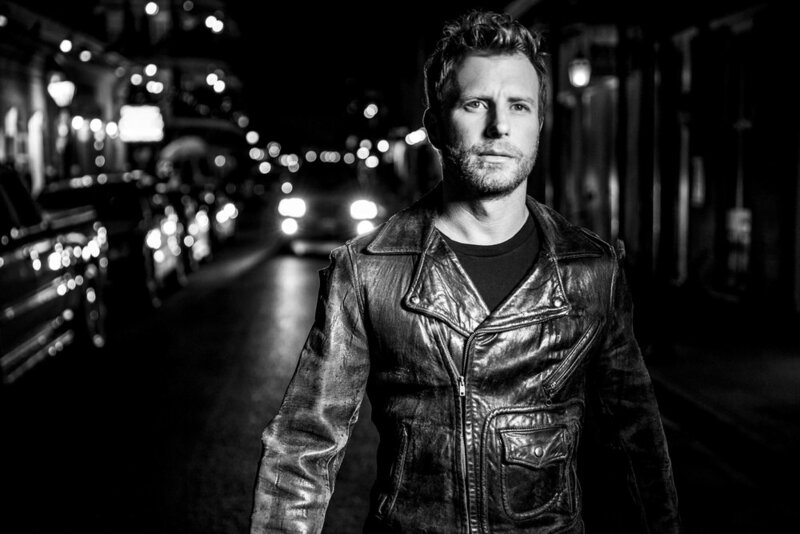 About Dierks Bentley: With a "reputation as one of the hardest-working entertainers in country music” (Music Row), Dierks Bentley “sells out enormous tours, is a perennial favorite of format radio stations and earns critical acclaim without compromising his artistic vision” (Entertainment Weekly). With 17 No. One hits and more than one billion digital streams, he “continues to take risks that pay off” (USA Today) as his eighth studio album BLACK has been hailed the "most fully-formed LP of his career" (TIME). After making its debut at the No. One position on Billboard’s all-genre Top Albums Chart and Top Country Albums chart, BLACK has garnered nominations from the ACM, CMA, and GRAMMY and Billboard Music Awards while earning three consecutive No. Ones; the gold-certified title track and the PLATINUM certified hits "Somewhere On A Beach" and “Different For Girls.” “The bluegrass picker, the love song singer and the stadium rocker all packaged together” (Associated Press) has been a Grand Ole Opry member for over a decade and has illustrated his depth and diversity as an artist with "ferocious live performances” (Fresno Bee) throughout his 2017 WHAT THE HELL WORLD TOUR, which claimed the top spot on Billboard's Hot Tours selling over 750,000 tickets. For more information visit www.dierks.com. Children's Miracle Network Hospitals® raises funds and awareness for 170 member hospitals that provide 32 million treatments each year to kids across the U.S. and Canada. Donations stay local to fund critical treatments and healthcare services, pediatric medical equipment and charitable care. Since 1983, Children’s Miracle Network Hospitals has raised more than $5 billion, most of it $1 at a time through the charity's Miracle Balloon icon. Its various fundraising partners and programs support the nonprofit's mission to save and improve the lives of as many children as possible. Find out why children's hospitals need community support, identify your member hospital and learn how you can Put Your Money Where the Miracles Are at cmnhospitals.org and facebook.com/CMNHospitals. Darcie Van Etten December 12, 2017 Country Radio Broadcasters, Inc.